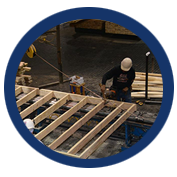 Since the advent of the engineered wood truss in the 1970’s, Carpenter Contractors of America has understood the value of pre-fabricated roof and floor systems in terms of the efficiency it brings to the field carpenter. Because we are carpenters, we appreciate the time savings, controlled quality, and ease of installation that trusses offer over and above what is possible with stick framing. Additionally, trusses allow for a cleaner and safer working environment on the job site. All of these positive attributes translate into time and cost savings for our customers. 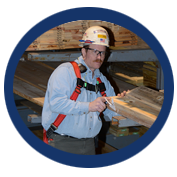 CCA has been manufacturing roof and floor trusses since 1976 and over many years has developed procedures and practices that insure the highest level of quality and performance. Our advantage lies in the fact that our own carpenters have been installing the components and have provided endless valuable input into the design, manufacturing and delivery process resulting in products that work in the real world. 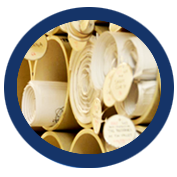 We have evolved our approach in such a manner that we can deliver a high volume of product built to exacting custom specifications on time…every time. CCA employs the most competent and experienced component designers in the United States who are capable of working with all building types and are familiar with the local building codes and building practices in the areas that they serve. These individuals are trained to identify potential plan problems and/or cost saving opportunities and communicate these issues with our customers, architects and engineers in a timely and professional manner. This results in a product that is optimized for cost and will perform correctly…without costly repairs in the field. If you visit any of our manufacturing facilities, you will witness a dedicated staff of highly trained personnel working very efficiently and safely in a clean and organized environment. Decades of experience has enabled us to develop plant layouts that streamline workflow to reduce material handling and increase production efficiency. We utilize the latest technologies and tried-and-true best practices to control our costs, improve our quality and keep our people safe. This allows us to stay competitive and provide our customers with the highest quality at a fair price. Please let your salesperson know you are interested in a plant tour….you will not be disappointed. A high quality component built on time still has to arrive at the job site in one piece and be ready to install for us to score a touchdown with our customers. We take the loading and delivery process very seriously to avoid fumbling on the one yard line. 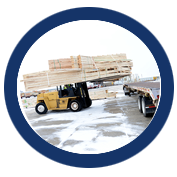 We take extra care in our banding and blocking of finished loads so that they travel safely without damage occurring. We also train our drivers in the proper use of their equipment, whether roll-off or crane delivery, to ensure it is spotted accurately and safely – without breakage.